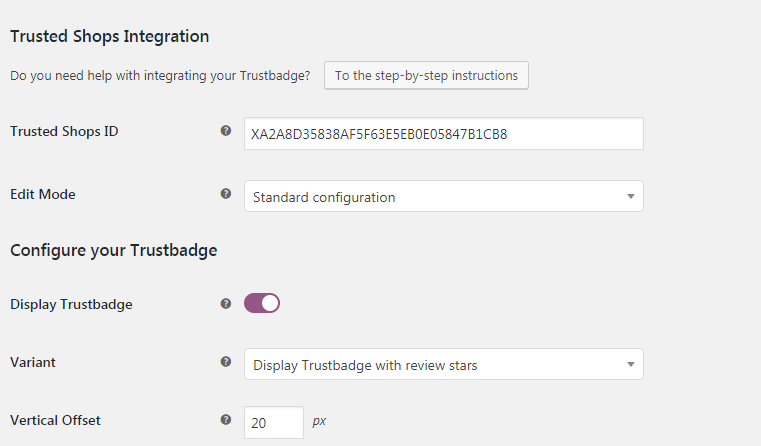 Effortlessly collect, show and manage customer reviews with the one and only Trustbadge® technology for your WooCommerce store! Once integrated, it updates automatically. Additionally you can integrate your trustmark and provide the money-back guarantee. You use WooCommerce, but you use WooCommerce Germanized, which focusses on the German market? In this case, please integrate the Trustbadge by using this manual. 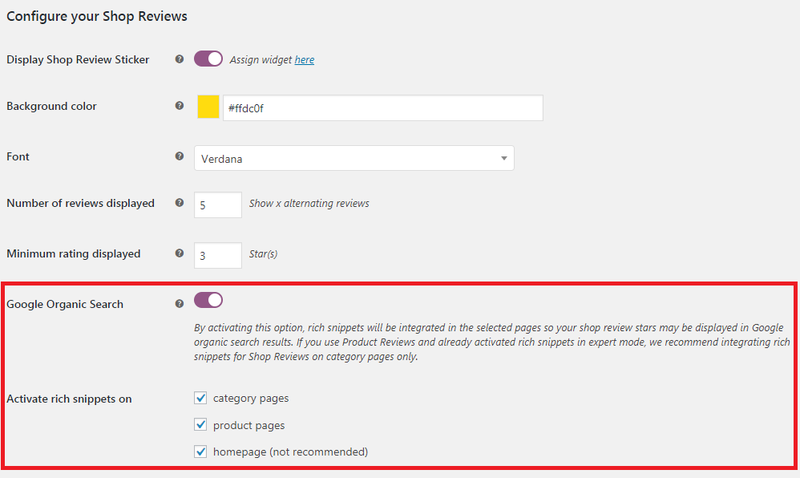 As a WooCommerce user, you can use a free Trusted Shops plugin available in the Wordpress Plugin Directory. Please install the plugin within the admin section of your Wordpress installation: Plugins >> Add New >> Upload Plugin. 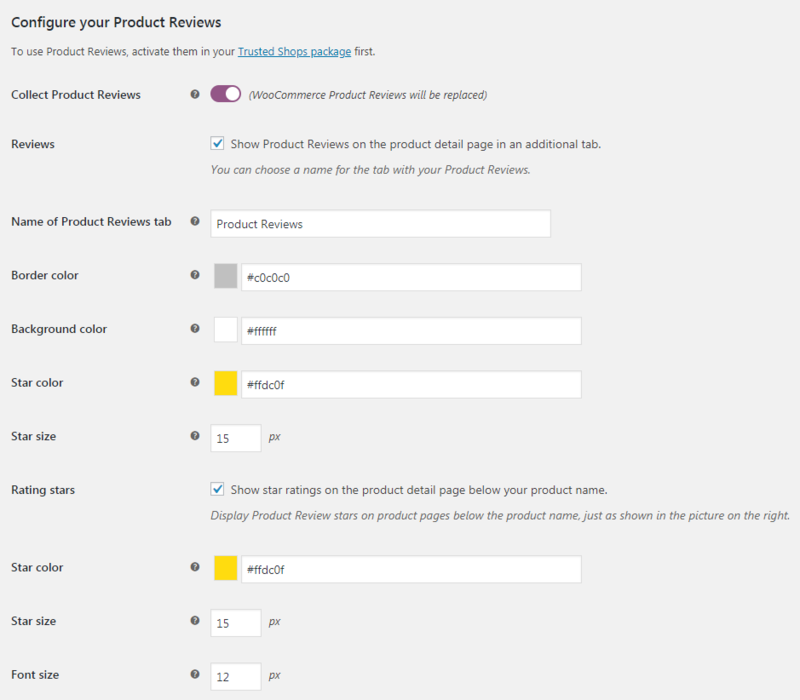 After installing the plugin, you can find it in the list at Plugins >> Installed Plugins >> WooCommerce Trusted Shops. Activate the plugin and go to Settings.